The library is open to the general public.There is no charge for using the books and other materials within the library. To borrow books and other library materials, you need a valid membership card. The loan period may be extended, provided that other library users have not reserved the materials. 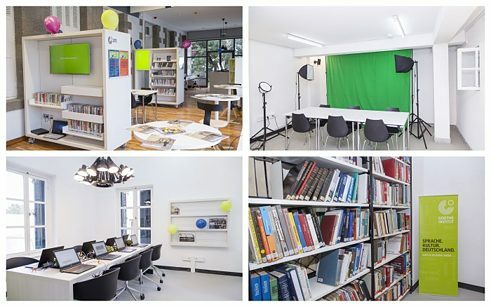 The Goethe-Institut Philippinen was asked multiple times over the last few months whether it had disposed of its archives as old newspapers and magazine were allegedly offered for sale. We would like to point out that the Goethe-Institut Philippinen does not have such an archive, and therefore, has not disposed of the same. The Goethe-Institut Philippinen has nothing to do with those offered sales. For library tours, please contact the librarian in charge.